Home / Lionel's Blog / Happy New Year ! 2019 has started letting behind us the good & bad memories of 2018. I take the opportunity of this post to wish a fantastic 2019 year to you and your family. On my side, I continue to work to improve my Uechi-Ryu Skills, I’ve started 2019 by working Konchin with Sensei George. On the other hand I continue to coach Elite riders and hope to be in Tokyo Olympics in 2020 for Paralympics (countdown has already started). To finish this post, I wanted to share a quote from Ben Okri that became my moto since the London 2012 paralympic games. 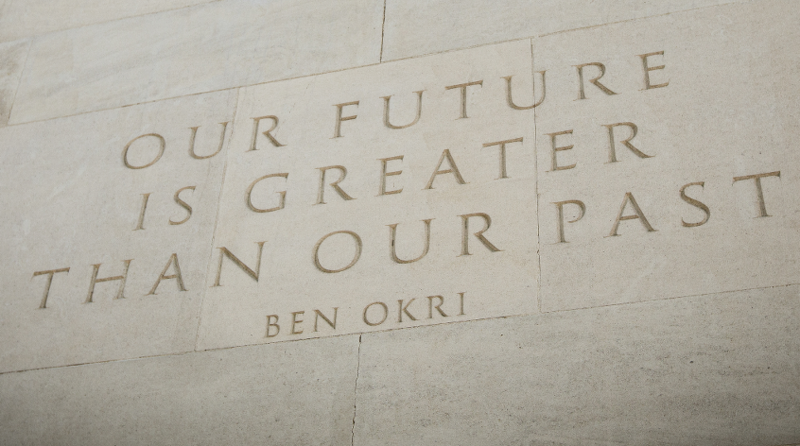 Indeed, during the week between the two games I was walking in London as I used to do (I love this city) and arrived in front of the Memorial Gates where is written the final line of his Ben Okri poem ‘Turn on your light’ – Our future is greater than our past. That’s exactly what I think in the first days of this new year: think positive, the greater is in front of us. Have a fantastic and great 2019 year.